Why Should We Care About Prophecy? It is with sincerity of heart that I list the things below hoping they will speak to the heart of those who have not given their hearts and lives to Christ. 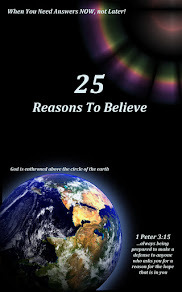 They all relate to the importance of why one should be concerned about the soon coming of Christ. Although no one knows the day or the hour we know He is coming soon due to the multitude of signs that are occurring with rapidity. We should never take the chance that because we do not know the day He is coming that we still have time. The Bible teaches the Rapture (1Thess. 4:16-17) is imminent, meaning it could occur at any moment! I hope you will book mark the page and visit often! The question Jesus posed in Luke 18, becomes very relevant for us when we consider Bible Prophecy or "Eschatology," which is, the study of future things. If indeed, Christ is returning to setup a "Kingdom that shall never end," Daniel 2:44; Isaiah 9:6-7; Zechariah. 14:9; John 14:1-3, and many others, just what will He find? Again if indeed He is coming, and He is, then wisdom declares that all eyes and ears should be listening to what the Scripture says. This is not an issue with me and my family as we will serve the Lord with all of our heart. But Jesus still asks the question, "Will I find faith?" b) You were created to serve and fellowship with God. In other words, you have a created purpose. God will never reveal it to you until you turn your heart to Him in repentance and faith. It is called being "Born-Again" John 3:3. If you do not believe; it is the life you missed. n) You should care because Jesus loves you and He died for you. It does not matter the sin you have committed if you commit your life to Him. The Bible teaches where sin abounds grace abounds much more, Romans 5:20. If you are still unsure about turning your life over to Christ, pause a moment, and ask yourself why? Are you afraid? Do not let what others think determine your eternal destiny. Do you believe you will just fail? In Christ your salvation is sure and guaranteed by the indwelling Holy Spirit who is the One working within the believer to bring about the new life. You may fail but He will not if you are sincere. Do you just not see that it is sin that separates you from God? He is Holy we are not. Therefore, we are on a different plane. Only the righteous and cleansed through the blood of Christ will enter heavens gates. Do you lack Faith? Faith comes by hearing and hearing by the word of God (Romans 10:17) If you lack faith then why not ask God to grant it to you. Acts 3:16; Romans 12:3; Ephesians. 2:8. 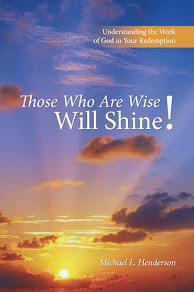 In my book "Those Who Are Wise Will Shine! Understanding the Work of God in Your Redemption" I have included an Appendix that is a "Table of the Nations" taken from Genesis. The appendix is an excellent resource for those who want to know who the nations are, and where they exist in Bible Prophecy. 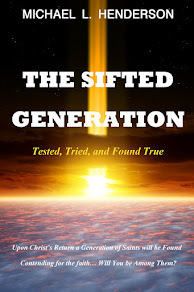 It is available at any online retailer in Hard bound, Paperback, or e-book.